Over the years many of the model manufacturers have produced items that were built in Leeds. Some of these you would need to change the locomotive number so as to represent one from a Leeds batch but others are most definitely Leeds built items. Some of the items listed might be no longer available or have yet to be produced by the manufacturer. Below is a selection of items produced, where a manufacturer has changed the livery over the years we only list the model type rather than a long list of items. 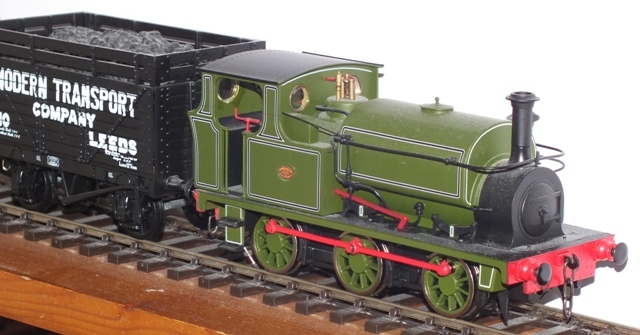 Older items may be found in model shops or on internet based auction sites. Kits are available from many good shops and often from the maker. MW 0-6-0ST Littleton No 4 & No 5. HC 0-6-0T (later 16 in type). MW 0-6-0ST (contractors type: class L). Fowler 0-6-0 Diesel Mechanical - built 1937 for the Colonial Sugar Refineries Co. in Fiji. Welsh Highland Railway 2-6-2T "Russell"
Pentewan Railway MW 0-6-2T "Canopus"